Lawsuit settlement funding is a no-risk way to get cash in advance of your settlement. Repaying a lawsuit funding loan is you lawyer’s responsibility. Need cash? 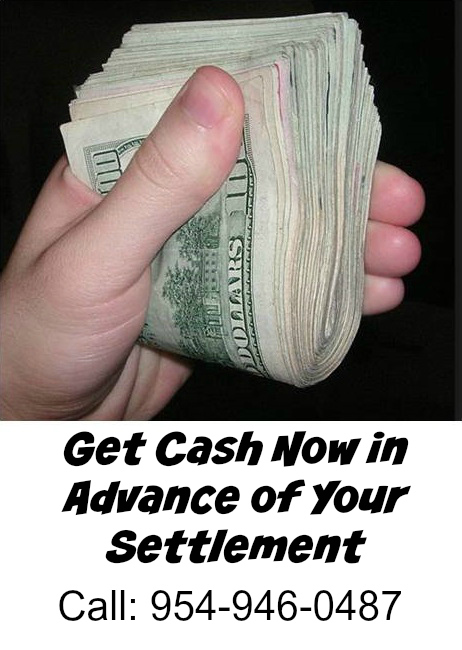 We can fund your settlement fast. Call today. You, the recipient need not take out your checkbook to either apply for or repay your loan. The decision to fund your case has much to do with your attorney’s cooperation. If you are seeking a pre-settlement cash advance, the attorney must agree to fill out some standard forms in order that the lender is named as a lien holder against the final settlement. When you, the plaintiff are awarded your settlement, the money is deposited into your attorney’s escrow account. That’s when the attorney takes their fees, deducts expenses and pays lien holders. That’s when we get paid. When you borrow money from Interstate Lawsuit Funding, you don’t pay us back at all until and unless you win your case case or a settlement. If we lend you money and your case fails, you keep the money with no obligation to pay. It’s a very unique loan for this reason. We hope you will choose Interstate Lawsuit Funding because we’re fair, we act quickly and we’re a direct lender, not a middle man or a broker. We make the decision to lend you money right here in our office.